The EURGBP is moving toward support defined by its 50% of the recent move higher and the 200 hour MA at 0.8936 -0.89417 area. The low just reached 0.8943. Earlier today, the first plunge lower stalled right at the 200 hour MA and bounced quickly to the upside. The NY session has seen the price move back below the 100 hour MA (blue line) at 0.89715. 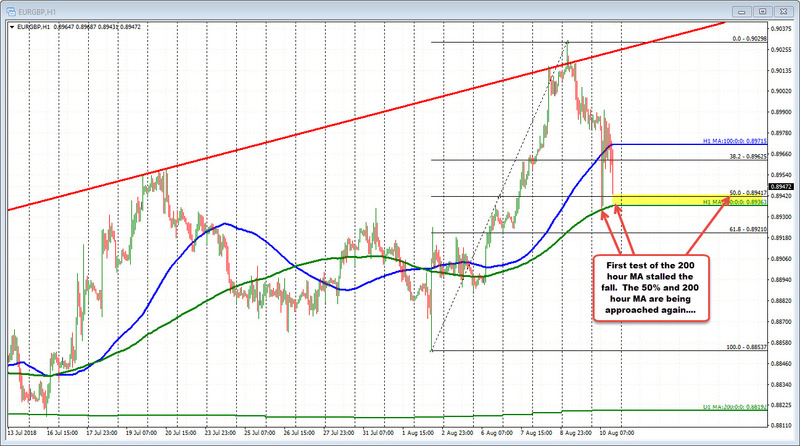 Looking at the pieces, the GBPUSD failed on breaks of a lower trend line. 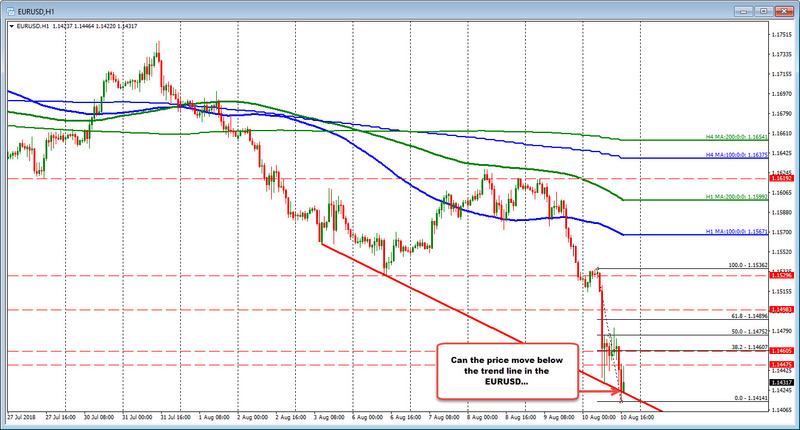 The EURUSD is still looking toward the day lows, but be aware it is retesting a broken trend line at 1.1423. Key level for it and the EURGBP as well.